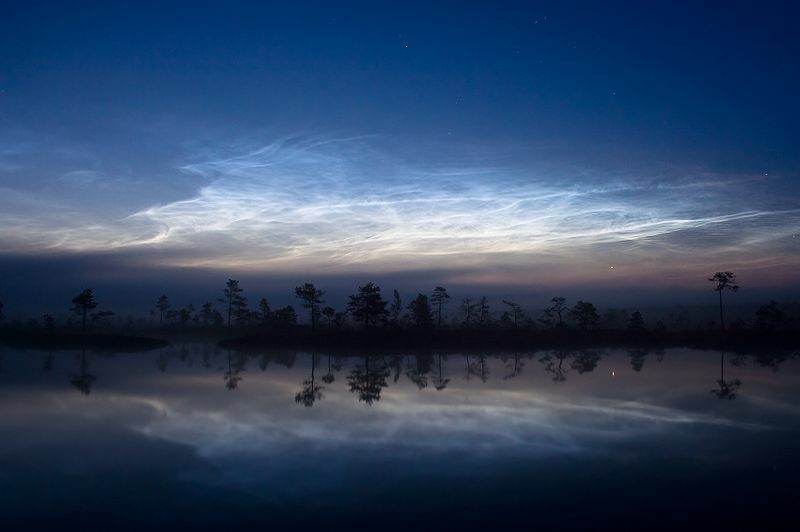 People who live in latitudes between 55 and 65 degrees may be lucky enough to experience a stunning bright phenomenon at twilight, namely noctilucent clouds. These are clouds that form the "ragged edge" of the even brighter polar mesopheric clouds in the upper atmosphere. The Latin name means "night shining" and as the following images show, that they do.